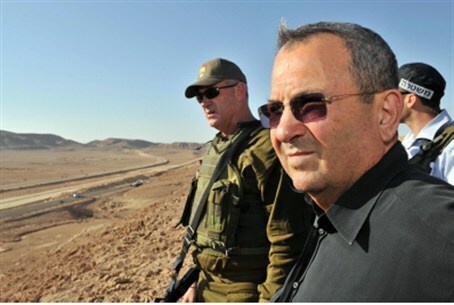 The recent explosions in Iran not part of a “shadow war” against Iran's nuclear program, Defense Minister Ehud Barak said. Barak was responding in part to comments made Friday night by U.S. Defense Secretary Leon Panetta, who urged Israel not to act along against Iran. Any such actions against Iran needed to be decided upon by the U.S. and Israel together. Barak said that the battle against Iran was playing out in the realm of diplomacy and economic sanctions. When asked by an interviewer if that battle had been expanded to sabotage, and if the recent mysterious explosions in Iran were due to that sabotage, Barak said that he did not believe so. “Iran is closer to a nuclear bomb. The sanctions must be quicker, tougher, and more decisive. The Iranians are working to ensure that their nuclear program is protected from interference. We cannot wait to see if they are successful in developing a weapon and then act. What if we will be unable to act at that time?” he asked.